In certain situations, it can be a little difficult to get a handle on my exact location when others ask where I am or how to get to me. 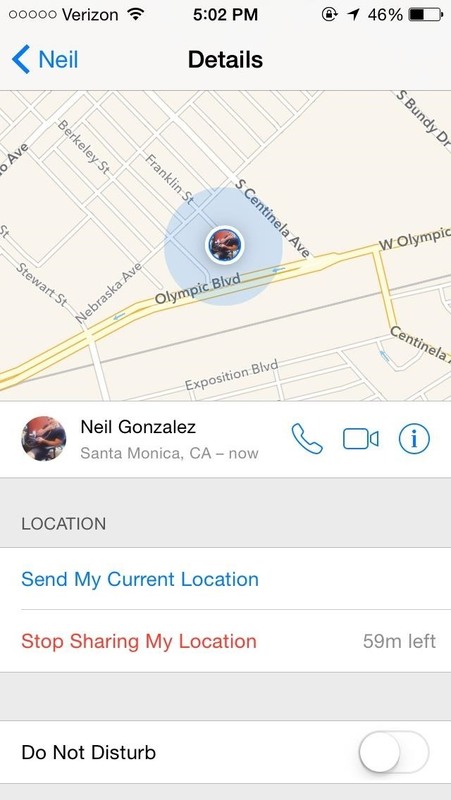 Now, thanks to one of the newly introduced features on iOS 8, I can easily share my exact location with friends, right from within the Messages app on my iPhone. If you know you'll be at a set location for a while, simply send your whereabouts once, and keep battery use to a minimum. 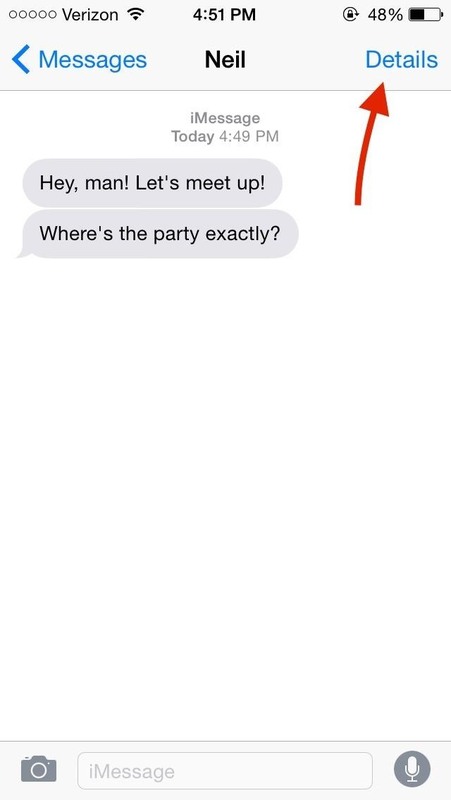 Enter the conversation thread with the person you want to send your location to, and tap on Details in the top right-hand corner of the screen. 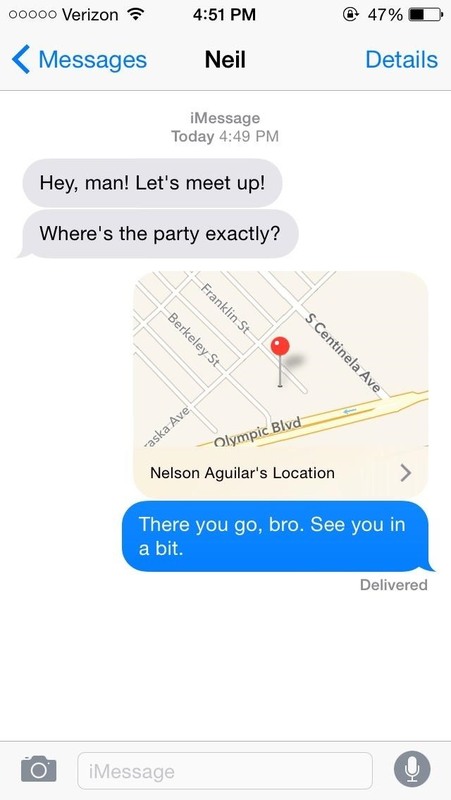 From there, just select Send My Current Location and the other party will receive your location, from which they can see where you are and get directions to you. If you're constantly on the move—like at an amusement park or sight-seeing—sending just your current location will not suffice. 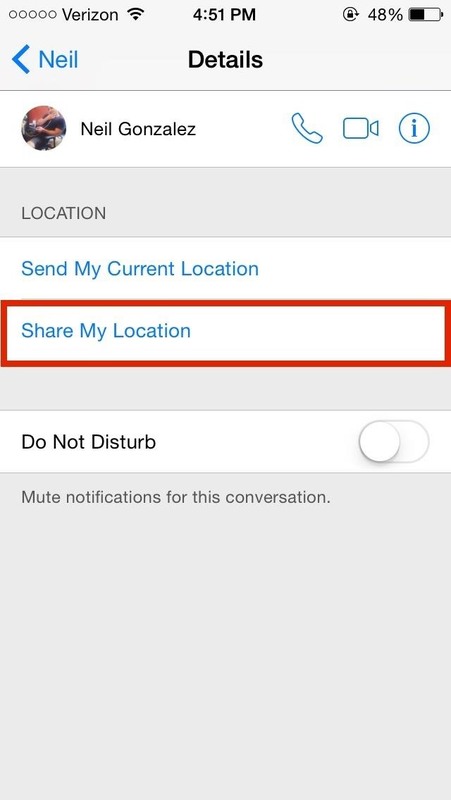 In order to continuously provide your exact positioning, use the Share My Location option under the conversation details. 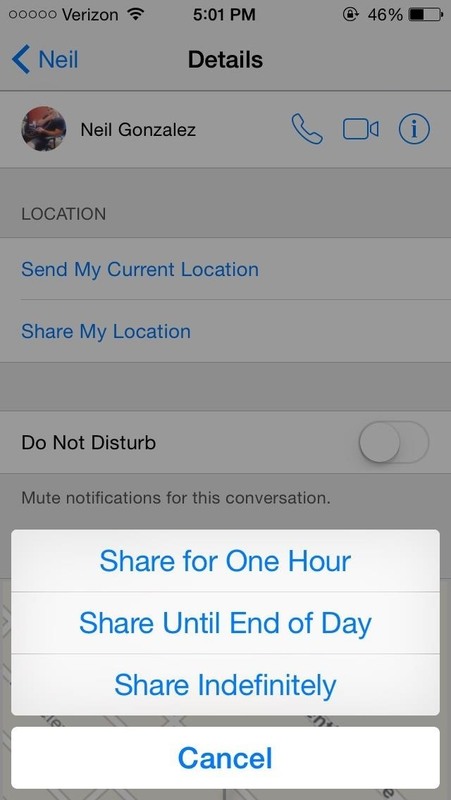 You can then opt to Share for One Hour, Share Until End of Day, or Share Indefinitely. With any of these options enabled, a friend can enter the Details in their conversation thread with you to view a map with your exact positioning. While this may use more battery life than sending your location just once, it does come in handy under certain situations. 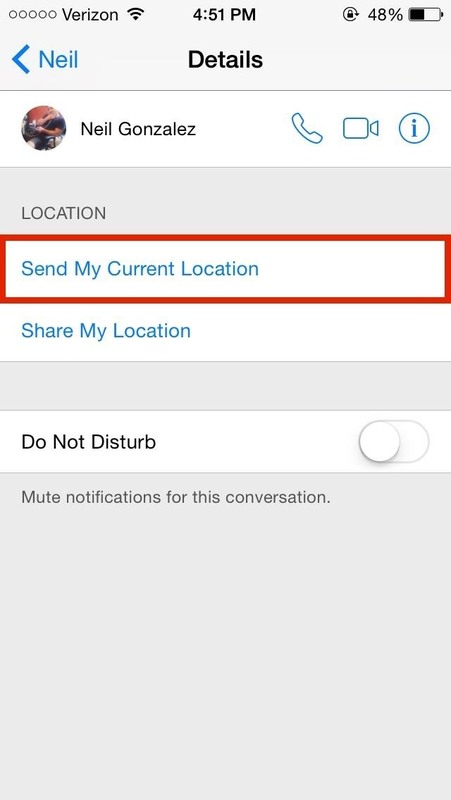 Once your contact no longer needs your whereabouts, you can disable this feature (no matter what share option you choose initially).